In 1936, with World War II bubbling, Ray-Ban first designed aviator sunglasses using polarized lenses, a technology created by the founder of the Polaroid Corporation, Edwin Land. The glasses were issued at no cost to fighter pilots, a practical piece of gear that’s found its way into everyday wear. The advent and distribution of this technology changed in-flight vision for fighter plane operators. Now, technology has advanced the world of vision, but one problem remains a pest through every ski season: fogged up ski goggles. Fear not, we’ve got you covered. Your anti-glare technology touting, crystal clear lenses that claim to be fog proof are no match for science. Simple chemistry doesn’t care if you’ve spent top dollar on top of line ski goggles, you’re going to experience goggle fog. To this day, it’s a problem that has yet to be conquered. Your body is warm. It’s even warmer when bundled in ski gear. When your body heat is on one side of your goggles and freezing temperatures are on the other side of your goggles, you’re bound to get foggy lenses. Over a day of skiing, you might be alright in the beginning, but as your body gets warmer and the lenses get colder, you’re more liable to be frustrated by fogged lenses. There are a few ways you can combat foggy lenses. None of them will defeat lens fog forever, but they’ll definitely keep it at bay as long as possible. Don’t put your goggles on your head. When not using them, people often rest their goggles on their heads just above the eyes. Not a great idea, because your heat is literally letting off steam, creating a sauna for your lenses. When not in use, store them in their goggle bag away from heat. Check the vents. Modern goggles have pretty good ventilation below and above the lenses, so make sure those vents aren’t covered and hindered from doing their job. Blocked goggle vents don’t let cool air in nor warm air out, leaving you fogged before you know it. Be gentle with them. The worst thing that people do is reach in with a wet glove and attempt to wipe off the inner lens. You’re only going to make the fogging worse for yourself by incorporating more moisture that runs the risk of freezing on the inside of your lenses. Your best bet is having a completely dry lens wipe with you or taking them into the ski lodge and using the restroom hand dryers. 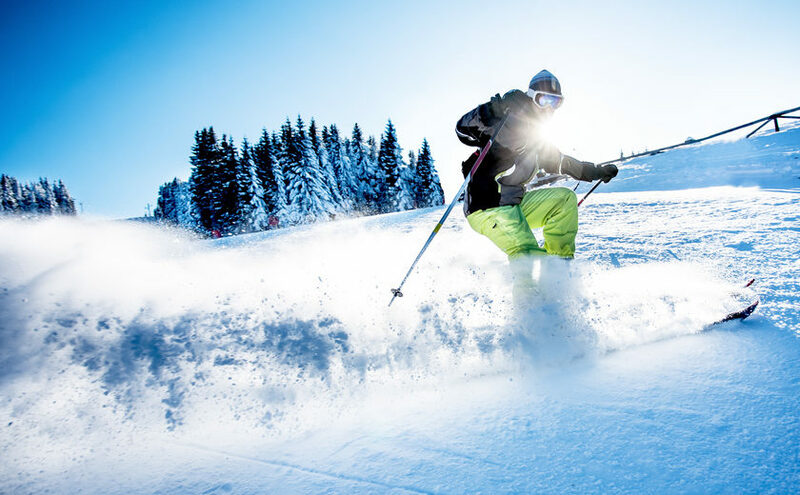 It’s a ski slope evil we’ve not yet fully defeated, but there are ways to combat lens fog this ski season. Remember these tips and you’ll be riding fog-free more often than not.